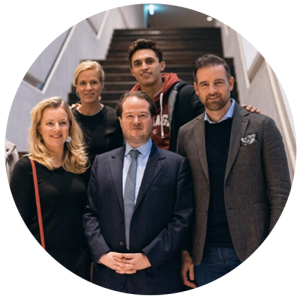 The Metzelder Foundation was founded in 2006 by the former professional football player Christoph Metzelder (Schalke, Dortmund, Real Madrid) . The foundation is raising money to support different organizations that first of all focus on giving young people the opportunity to get access to education and build up their own stable future. 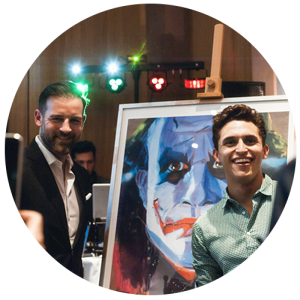 The artist is supporting this foundation by donating works on charity auctions. Vidture is a professional film making production with years of experience. Among some of their clients are AMG Mercedes, Seat, Skoda and Schalke football club. Besides serving with the highest quality in filmmaking, their artisitical way of handling the scenerie gives their work a unique unmistakable mood and touch. The intensive collaboration between Vidture and Benjamin Rayher culminates in the portraitvideo of Rayher. Conmoto, founded 1998, by the designer Johannes Wagner (student of Dieter Sieger) is making furniture of all kinds, accessoires and exclusive interior design. Johannes Wagner, additionaly an art collector, founded with his sister Anna Wagner, an experienced art historian, the „Conmoto Gallery“. 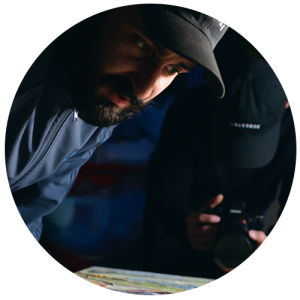 Once a year the „Conmoto Gallery“ hosts an charity auction to support different organisations such as the „Christoph Metzelder Foundation“ or „Adam Gyorgy Foundation“. Klenke Productions is specialized on all kinds of printing such as digital print, car wrapping, commercial, etc. and the classical silk print. The silk print is the most expansive, exclusive and authentical way to reproduce an artists´ art work. In a week long elaborated process all colors, heights and dephts of the silk print are manually adjusted in close cooperation with the artist. 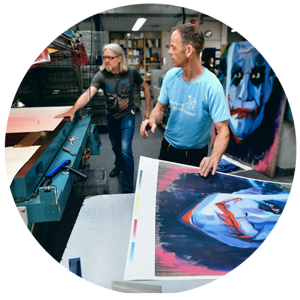 Klenke is producing each limited silk print series of Benjamin Rayhers´ artwork, such as the „Blue Joker“ and „Pink Joker“.